Firm: Sheppard, White, Kachergus & DeMaggio, P.A. Matthew R. Kachergus has devoted his career to representing a wide array of clients ranging from the criminally accused, those whose constitutional rights have been violated, to numerous others needing counsel for civil litigation. As a result of Mr. Kachergus’ tireless efforts in advocating for the interest of his clients, he is listed in Best Lawyers in America, in the fields of white collar and non-white collar criminal defense law, as well as Super Lawyers. 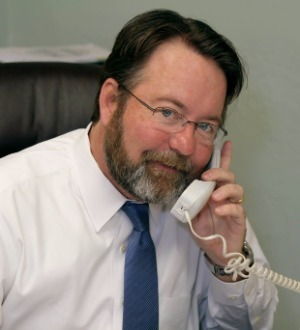 Mr. Kachergus is a member of both the National and Florida Association of Criminal Defense Lawyers. Mr. Kachergus has also been selected to be a member of the National Trial Lawyers. Membership into this organization is limited to the top one hundred attorneys from each state that practice civil plaintiff or criminal defense law. Additionally, Mr. Kachergus has extensive experience in the area of civil rights law, pursuing claims of those who have had their constitutional rights violated and making substantial recoveries on their behalf.Mr. Kachergus was born in Corpus Christi, Texas in 1971, while his father was a pilot in the United States Navy. Mr. Kachergus and his family subsequently relocated to Jacksonville, Florida, where he has lived for nearly his entire life. He attended Episcopal High School, graduating in 1989 and attended Emory University, where he graduated in 1993 with a Bachelor of Arts in both Political Science and Philosophy.Desiring to be an attorney and follow in the footsteps of his father, Mr. Kachergus worked for the Office of the Public Defender, Fourth Judicial Circuit, in the office’s investigations division before receiving his law degree from the University of Florida Levin College of Law in 1999. While at law school, Mr. Kachergus received book awards for contracts and international business transactions.Mr. Kachergus primarily litigates criminal and civil rights cases. He has extensive police misconduct experience, including tasers, police dog bites, excessive force and false arrests. He is admitted to the Florida Bar and is a member of the Supreme Court of the United States of America, the United States Court of Appeals for the Eleventh Circuit and Federal Circuit, the United States District Courts for the Northern, Middle, and Southern Districts of Florida. Mr. Kachergus was also a Barrister in the Chester Bedell Inn of Court in 2009 to 2012.